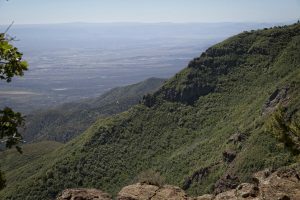 Mingus Mountain is in a part of Arizona called the Transition Zone. This part of the State lies between the Sonoran low desert to the south and the higher Colorado Plateau to the north. The vegetation is a mixture of plants from both areas. 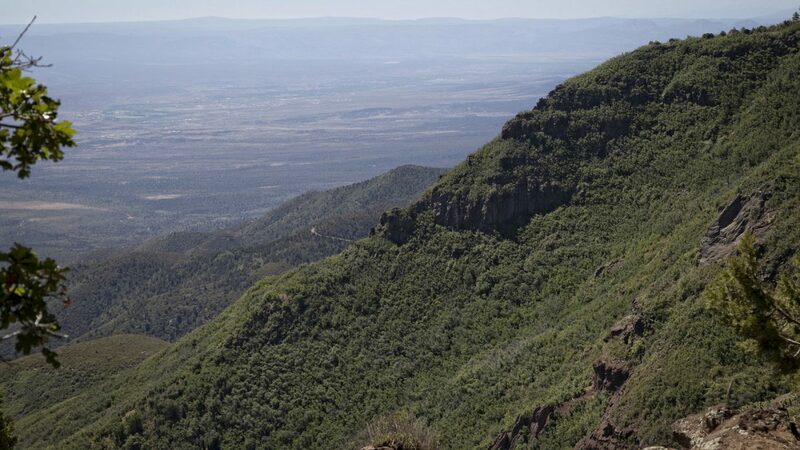 Here, at an elevation of about 7,800 feet, cacti, yuccas, and agaves grow in an open forest of ponderosa pines. At only slightly lower elevations the tall pines are replaced by oaks and large shrubs. The best time for wildflower viewing in this area is usually July and August after the summer rains, but the general vegetation is also interesting and can be seen anytime from May through October.